HYPOALLERGENIC - ZINC & LATEX FREE: RockTape is made safe for all skin types including those sensitive to zinc and latex. Water Resistant but For Harsh & Wet Conditions (Surf / Swimming) use H2O Tape. 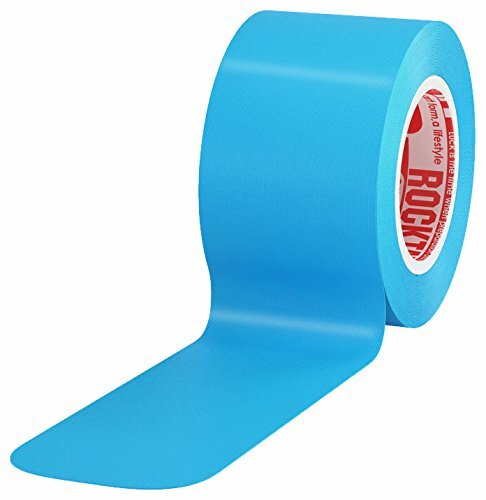 EASY TO USE 10" PRE-CUT STRIPS: Every roll of RockTape includes a detailed instruction sheet, along with quick links to over 100+ videos on RockTape's YouTube Channel. No need for scissors. TRUSTED BY MEDICAL PROFESSIONALS: Over 50,000 medical professionals use and trust RockTape to deliver relief to their patients. Get the same professional grade kinesiology tape direct from Amazon!